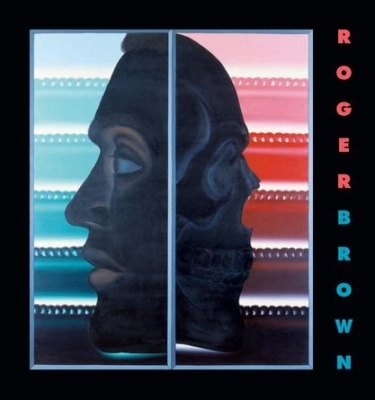 Roger Brown (1941-1997) was a leading member of the Chicago Imagist group, who created bold canvases and sculptural objects that explore America in the postwar era. His work is personal, provocative, and political, often a commentary on current events and contemporary attitudes delivered with a strong dose of irony and a wry sense of humor. He celebrated the vernacular, mining popular culture for its truths and contradictions, and focused on a range of themes from urban isolation, alienation, and sexual intrigue to natural disasters, human tragedy, and weather patterns. James Roger Brown was born on December 10, 1941 and raised in Hamilton and Opelika, Alabama. His interest in art emerged at an early age, and his parents encouraged his talents. Growing up, he developed a deep appreciation of the material culture of the South, especially folk art and handmade, functional objects. In his adolescent and teen years, he was also influenced by the aesthetic of comic strips, theater architecture and interiors, and streamlined Art Deco and machine-age design. Brown’s religious upbringing in the independent, fundamentalist Church of Christ was formative and lasting. After graduating from high school in 1960, he attended David Lipscomb College in Nashville, a school associated with the Church of Christ, and briefly pursued the idea of becoming a preacher. He decided to study art instead, and he moved to Chicago in 1962. He studied at the American Academy of Art and earned two degrees at The School of the Art Institute of Chicago, where he was drawn to a wide range of art historical periods and genres, particularly Surrealism, early Italian Renaissance painting, non-western art, and American artists Edward Hopper, Grant Wood, and Georgia O’Keeffe. He also frequented the popular Maxwell Street flea market, antique and thrift shops, amusement parks, and other places that appealed to his visual and cultural sensibilities. His already well-established collecting activities expanded rapidly, as he amassed a variety of art and objects that functioned as source materials for his work. 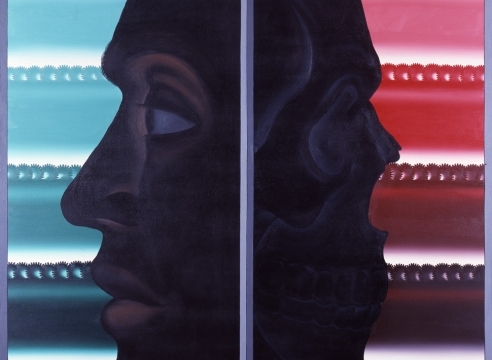 In the late 1960s, Brown participated in a series of now-legendary exhibitions best remembered by the name of one of them, “The Hairy Who.” The artists who were involved became known as Chicago Imagists, a loosely related group of like-minded painters and sculptors who pursued various means of personal expression to transform visual imagery from a variety of media, generally using pop and vernacular culture as their point of departure. During this time, he also discovered the work of self-taught artists such as Joseph Yoakum, Aldo Piacenza, William Dawson, and Lee Godie. 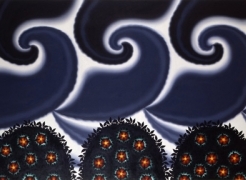 Combined with his earlier involvement with traditional folk art, this interest developed into a serious exploration of art from beyond the mainstream that continued throughout his life. In 1972, Brown was featured in the book Fantastic Images: Chicago Art Since 1945 by Franz Schultz, which brought increased recognition to his work. The same year, he began a close relationship with architect George Veronda, and at this time architecture and landscape became integral elements of his art. In 1974, Brown purchased and renovated a storefront in Chicago that became his first home, studio, and collection environment. Later in the decade, he commissioned Veronda to design a home and studio for a Lake Michigan dunes property that he had purchased in New Buffalo, Michigan. For several years, Brown divided his time between Chicago and New Buffalo, where he assembled a second collection of art and objects. Brown’s critical acclaim grew throughout the 1970s and 80s. In addition to painting and printmaking, his mediums eventually included sculpture of found, assembled, and painted objects; sets for theatre and opera; and mosaic murals. In 1979, for example, he designed sets for the Chicago Opera Theatre’s production of Mozart’s Cosi fan Tutte. 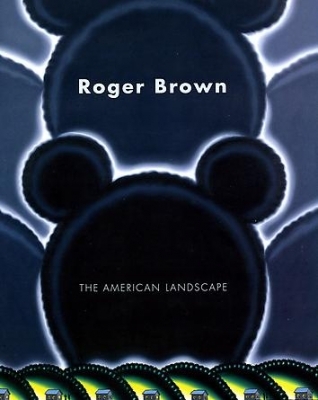 In the late 1980s, Brown searched for a place to live on the west coast. He found property in the beach town of La Conchita, north of Ventura, California and commissioned a home and studio that were completed in 1993. Brown adapted his art and collecting disciplines to his new environment, creating condensed, serial works that focused on Southern California. Aware of his mortality – he lived with AIDS for nearly a decade – many of his pieces from 1995 to his death in 1997 evoke the uncanny feeling of a prelude to a different dimension. His final project, the restoration of an 1870s stone house in rural Alabama near his hometown, was completed by family members and opened as the Roger Brown Rock House Museum in 1999. 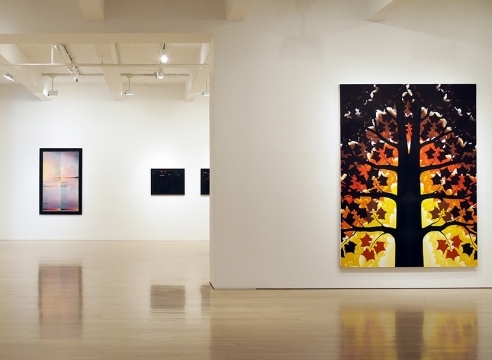 Brown exhibited extensively throughout his life and was represented by the Phyllis Kind Gallery in Chicago and New York from 1970 to 1997. His art is included in many important museum collections such as those of The Art Institute of Chicago, Illinois; Whitney Museum of American Art, New York; Museum of Modern Art, New York; Metropolitan Museum of Art, New York; Dallas Museum of Art, Texas; Corcoran Gallery of Art, Washington, DC; Smithsonian American Art Museum, Washington, DC; Museum of Fine Arts, Boston; Los Angeles County Museum of Art, California; Scottish National Gallery of Modern Art, Edinburgh; and Museum Moderner Kunst, Vienna. Major traveling retrospectives of his work were organized by the Montgomery Museum of Fine Arts, Alabama in 1980; Hirshhorn Museum, Washington, DC in 1987; and Jule Collins Smith Museum of Fine Art, Auburn University, Alabama in 2007. The latter exhibition traveled to American University, Washington, DC, and the University of New Orleans, Louisiana in 2008. 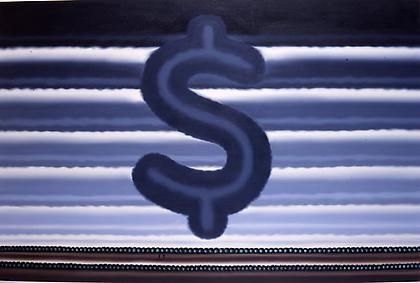 The New York Times: "Roger Brown: Political Paintings"
Roger Brown Is Deadly Serious! 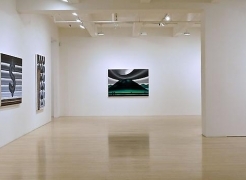 Gallery Talk by Robert Cozzolino from DC Moore Gallery on Vimeo.